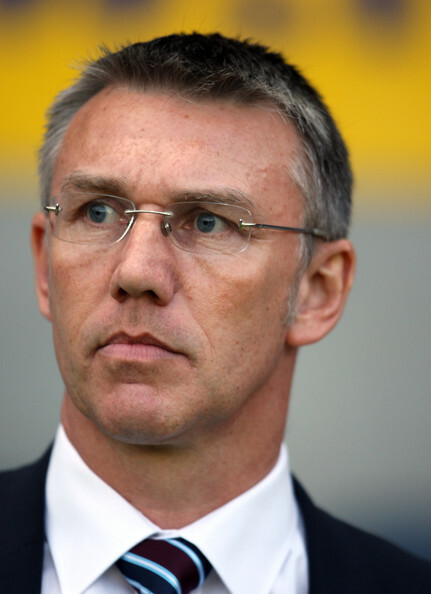 Southampton boss Nigel Adkins has been "relieved of his managerial duties" and replaced by former Espanyol manager Mauricio Pochettino.Adkins took over at the Saints in September 2010 and guided them to successive promotions from League One all the way to the Premier League.They made a difficult start to life in the top flight but showed signs of turning the corner in recent weeks, climbing out of the relegation zone and securing a surprise 2-2 draw at Chelsea in their last league game on Wednesday.However, in a shock move, the Southampton board confirmed on the club's official website that they have "relieved Nigel Adkins of his managerial duties" and replaced him with former Argentina international Mauricio Pochettino, who was sacked as manager of Espanyol in November.A statement from Southampton executive chairman Nicola Cortese said: "This decision has been made with the long-term ambitions of Southampton Football Club in mind. Whilst we acknowledge the contribution Nigel has made during the past two years, for the Club to progress and achieve our long-term targets a change was needed. "Mauricio is a well-respected coach of substantial quality who has gained a reputation as an astute tactician and excellent man manager. I have every confidence that he will inspire our talented squad of players to perform at the highest possible level." Pochettino added: "This is the kind of opportunity that any coach would relish. Southampton is a club with great heritage, and an even more exciting future. There is a clear vision to take the Club to a new era of sustained success in the Premier League, and beyond, which I'm delighted to be part of."